Are you looking for work that will challenge and inspire you? Do you want a job that offers tremendous personal and professional growth? 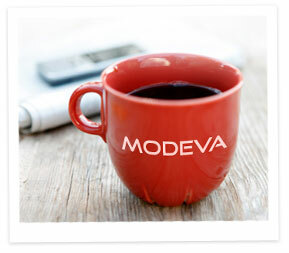 Then look no further, your dream job is waiting for you at Modeva. We're passionate and focused on our work, and we have fun doing it. At our core, we're a diverse collection of talent who embrace new challenges and thrive in finding smart, outside the box solutions. We also know when to let off steam and revel in our accomplishments!